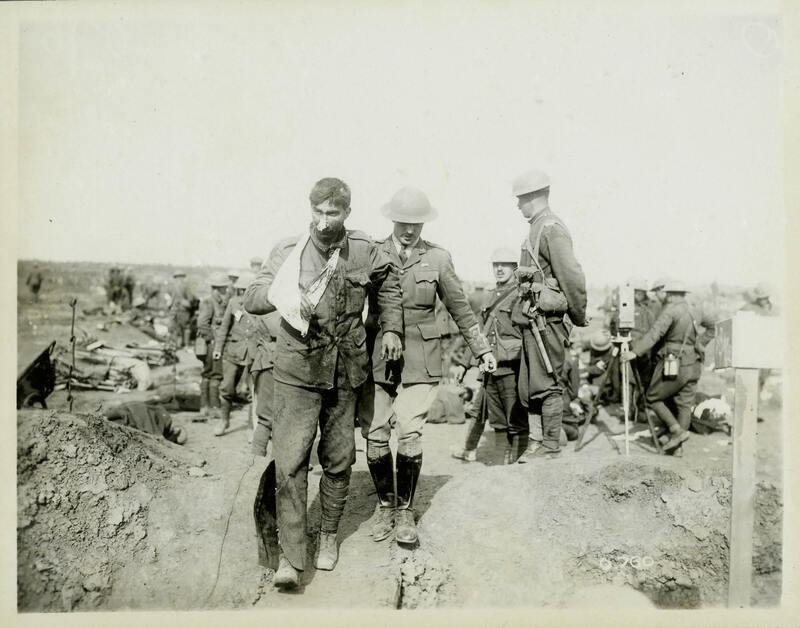 An officer helps a battered Canadian to a dressing station. Positive officer-enlisted soldier relations were crucial to morale. The best relationships balanced firm discipline and strong leadership with compassion and respect. Note the official camera crew to the right of soldiers.